Red Raspberry is a member of the rose family. 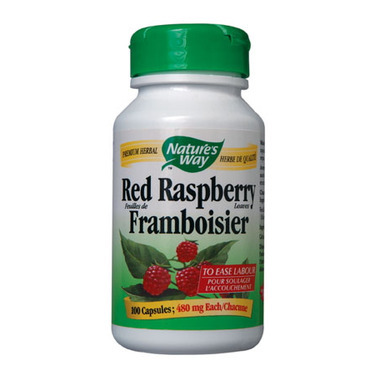 Red Raspberry's astringent leaves are widely used as a traditional herbal supplement, especially popular with women because they help ease the pain of menstrual cramps and labour. Directions: Adults: Take three capsules three times per day with water at mealtimes. Other Ingredients: Gelatin (capsule), cellullose, silica, magnesium stearate. Warning: Consult a health care practitioner before use if you are pregnant or breastfeeding. Hard to find in stores, so glad well.ca carries them!